Mr. de Kerckhove is Senior Fellow at the Graduate School of Public and International Affairs, University of Ottawa. He entered the Canadian Foreign Service in 1973 and served as Canada’s High Commissioner to the Islamic Republic of Pakistan, Ambassador to the Republic of Indonesia and the Arab Republic of Egypt. He was also the Personal representative of the Prime Minister for la Francophonie. Alan Freeman was named a Senior Fellow in the Graduate School of Public and International Affairs in 2014. He came to the University of Ottawa in 2011 as a Public Servant in Residence from Canada's Department of Finance, where he served as Assistant Deputy Minister of Consultations and Communications. Alan joined the Public Service in 2008 after a distinguished career in journalism as a parliamentary reporter and business journalist for The Canadian Press, The Wall Street Journal and The Globe and Mail. At The Globe, he spent more than 10 years as a foreign correspondent based in Berlin, London and Washington. Alan is a graduate of McGill University and Columbia University, where he received a Master's degree in Journalism. André Lecours is Professor in the School of Political Studies at the University of Ottawa. Director of CIPS and Associate Professor, Graduate School of Public and International Affairs. Webpage. 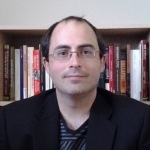 Matthew Paterson is Professor in the School of Political Studies at the University of Ottawa. Professor, School of Sociological and Anthropological Studies. Assistant Professor, Graduate School of Public and International Affairs.